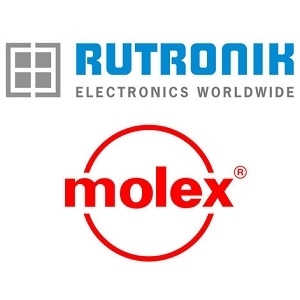 Molex has appointed Rutronik as a distributor of its complete product range in the UK and Ireland. The move enables Rutronik to extend its offering with one of the foremost interconnection portfolios and also with antennas and RF solutions that increasingly play a part in the delivery of advanced IoT solutions. A major factor in Molex’s decision was Rutronik’s strong design and field application engineering capabilities. Rutronik has blazed a trail, supporting established and emerging companies in bringing their designs to market. The addition of Molex’s comprehensive range of connectivity and related products is complementary to the existing Rutronik line card and will provide customers with access to even more focused design and purchasing support. Rutronik has the Molex franchise in UK and Ireland starting 1st April 2018. This will build on the existing strong relationship between the companies elsewhere in Europe.